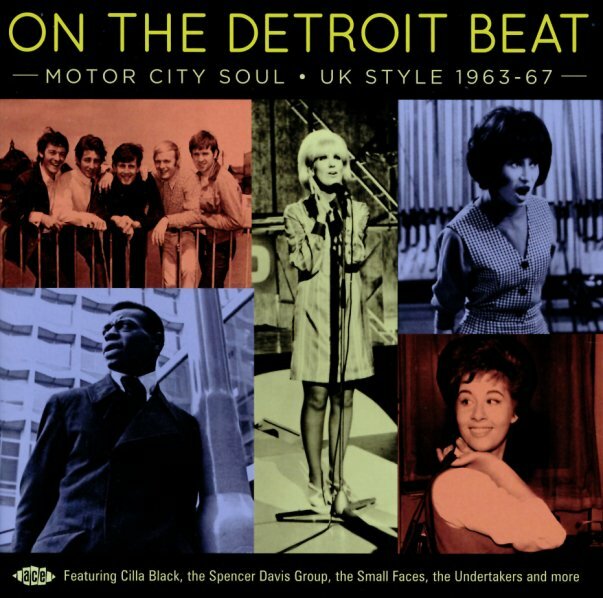 British rock, but with plenty of soul – as these artists were some of the first in the world to be influenced by the sound of early Motown Records – then set about trying to create their own strand of Detroit soul! The influence of Motown on the sound of so many other scenes has been well documented over the years – but this cool little set gets right to the heart of the matter – by representing the kind of British singers and groups who were some of the first to revel in the spirit of Berry Gordy and his creations – then find a way to move things forward with new recordings of their own! As always with Ace Records, the set is way more than just music – as there's a big booklet of notes, with details on all the many tracks and artists – a double dozen selection, with tracks that includes "Sweet Thing" by Georgie Fame, "Mickey's Monkey" by The Hollies, "No 1 In Your Heart" by Herbie Goins & The Nighttimers, "Heat Wave" by Beverley Jones & The Prestons, "One Of These Days" by Guy Darrell, "I Want To Go Back There Again" by Bill Kenwright & The Runaways, "The Way You Do The Things You Do" by Elkie Brooks, "I'll Be Doggone" by Billy J Kramer with The Dakotas, "As Long As I Know He's Mine" by Julie Grant, "Money" by The Undertakers, "I Want A Love I Can See" by John Leyton & The LeRoys, "Stubborn Kind Of Fellow" by The Roulettes, "Every Little Bit Hurts" by Spencer Davis Group, "You Really Got A Hold On Me" by Small Faces, "Never Leave Your Baby's Side" by Tony Jackson, "No Good Without You" by The Birds, and "Let's Go Somewhere" by Beryl Marsden. © 1996-2019, Dusty Groove, Inc.